Some children remember sight words easily, but there are others who have a hard time remembering the spelling of words that don't follow the rules. 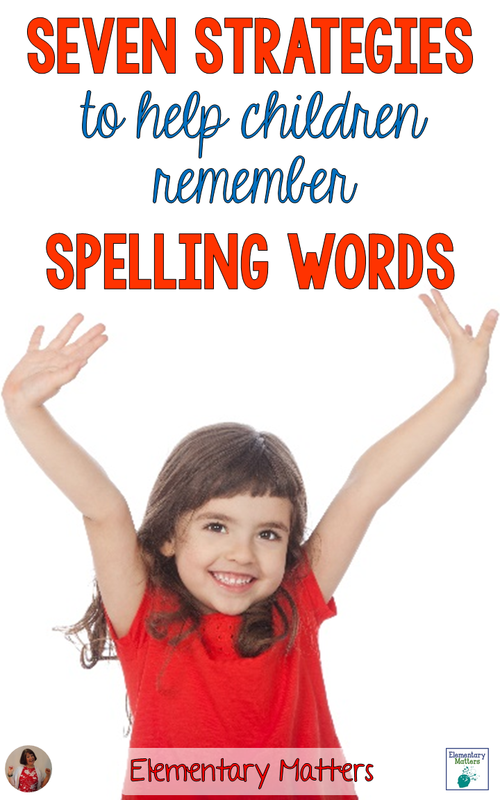 Here are a few strategies, based on research, that will help kiddos remember spelling words. 1. Spell it aloud! The act of saying the letters along with hearing the letters helps the pathways form in the brain. 2. Get them moving! Studies show a connection between movement and memory. Students can bounce a basketball while spelling, jump while spelling, or even do interpretive dance while spelling the words. 3. Integrate Music! Ever notice how you can remember song lyrics from years ago that you never even tried to memorize? Music is closely connected to memory! Make up a little tune to the spelling of the words, or have the children make it up! 4. Integrate Art! Have the children write the spelling words, then make up a design around them. Or, you could have them paint their words! 5. Color code! Brains really connect to colors! Have the children write the words using one color for vowels, and one color for consonants. 6. Hands on! Use blocks, toothpicks, pipe cleaners or other manipulatives to create the words. 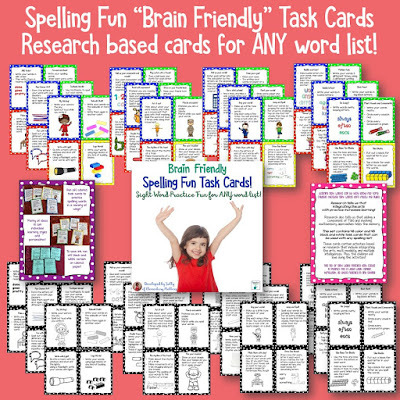 This is a set of task cards with 48 color and 48 black and white task cards that can be used with any spelling list! 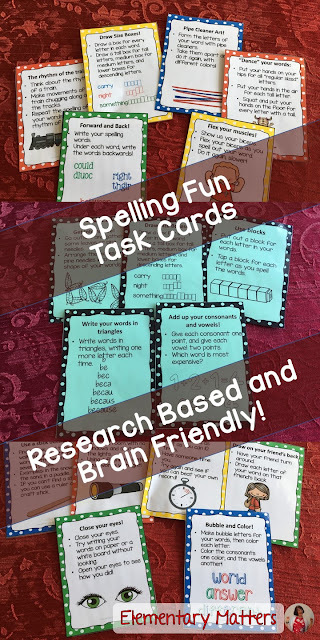 These cards contain activities based on research that include integrating the arts, multi-modality, and multiple intelligences. This set of sight word practice task cards is perfect for a word work center, homework, or extra practice in any setting. For more information, see: Brain Friendly Spelling Task Cards. How do you help children remember Spelling words?